George C. Scott Gives Flawless Performance + Epilogue..
Patton 1970 - 172 min. 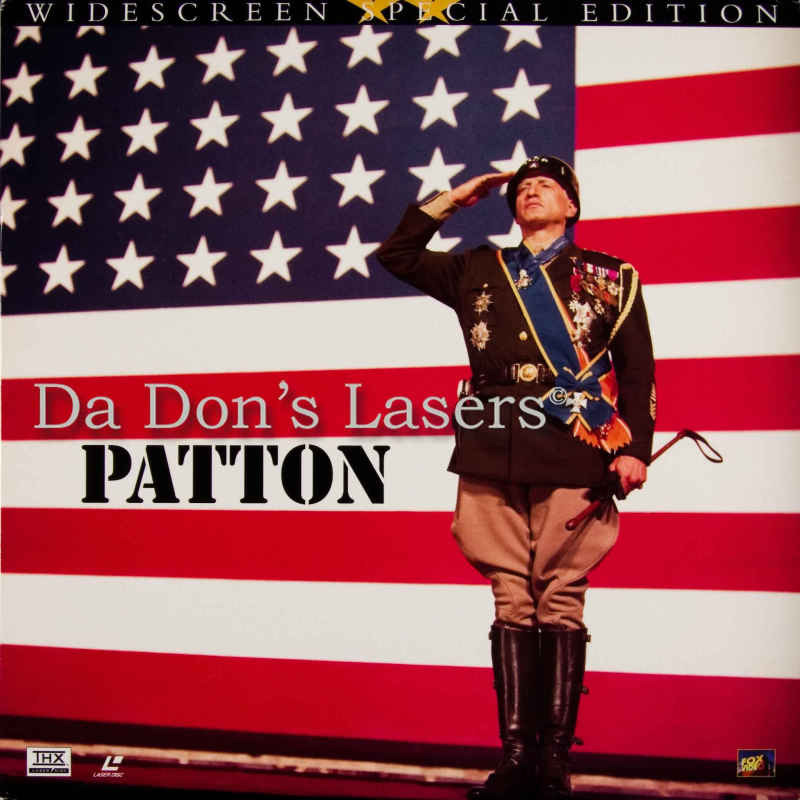 - Color Genre: Drama Rated PG Country: USA LaserDisc Movie Review: As General George Patton, George C. Scott may have been decked out with a phony nose, but this is the only false element in his flawless performance. In 1943 North Africa, Patton assumes command of (and instills some much-needed discipline in) the American forces. Engaged in battle against Germany's Field Marshal Rommel (Karl Michael Vogler), Patton drives back "The Desert Fox" by using the German's own tactics. Promoted to Lieutenant General, Patton is sent to Sicily, where he engages in a personal war of egos with British Field Marshal Montgomery (Michael Bates). Performing brilliantly in Italy, Patton seriously jeopardizes his future with a single slap. While touring an Army hospital, the General comes across a GI (Tim Considine) suffering from nervous fatigue. Incensed by what he considers a slacker, Patton smacks the poor soldier and orders him to get well in a hurry. This incident results in his losing his command-and, by extension, missing out on D-Day. In his final campaign, Patton leads the US 3rd Army through Europe. Unabashedly flamboyant, Patton remains a valuable resource, but ultimately proves too much of a "loose cannon" in comparison to the more level-headed tactics of his old friend Omar Bradley (Karl Malden). 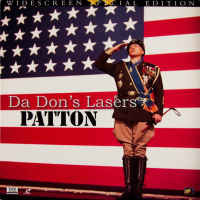 Patton won 7 Academy Awards, including Best Picture and Best Actor for Scott, an award that he refused. --- Hal Erickson Patton ranks as one of the screen's greatest biopics, much as George C. Scott's work in the title role is often considered one of the towering performances in screen history. Scott, and the film overall, benefit from an uncommonly intelligent script by Francis Ford Coppola and Edmund H. North, an odd yet fortuitous pairing of seemingly dissimilar writing styles. 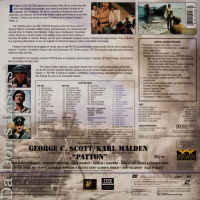 Despite a nearly three-hour running time, the film focuses on only a small portion of Patton's career, beginning with his North Africa campaign and continuing to the conclusion of World War II. There are only a few compromises with history --- for example, Patton wears the uniform of a four-star general, a higher rank than was appropriate, at the rousing speech to his troops that begins the movie. The scene, though, is taken almost word-for-word from a speech that Patton delivered on June 4, 1944. It's just one example of the verisimilitude that gives the film its superb texture. 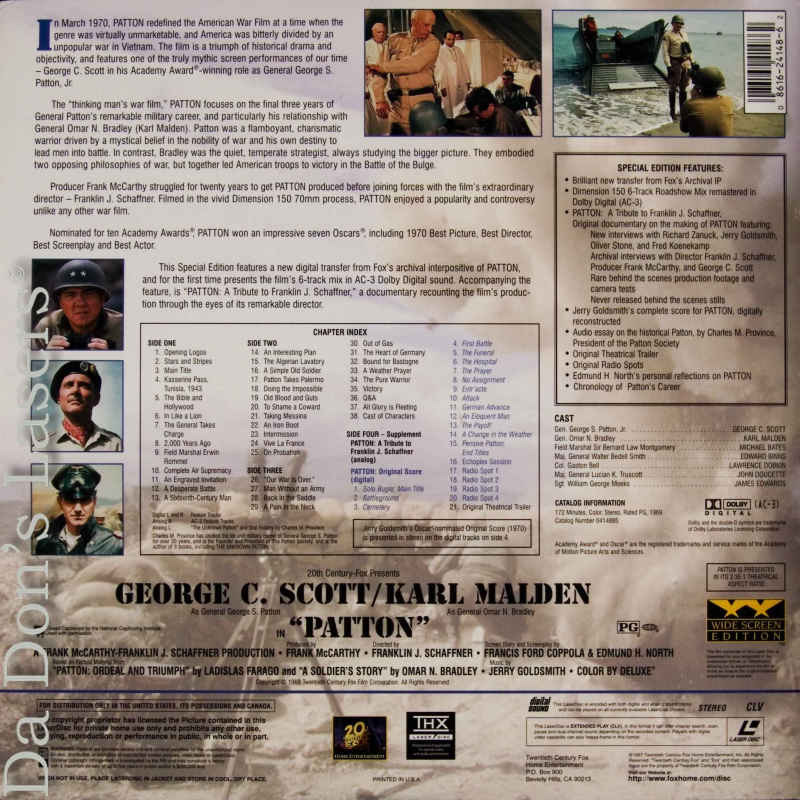 Patton also benefits from outstanding tech credits, particularly Fred Koenekamp's cinematography and Jerry Goldsmith's orchestral score. Overall, the film won seven Oscars, including Best Picture and Best Actor. Scott refused his award, which the Academy kept for him in case he later changed his mind. He didn't. --- Richard Gilliam Thanks for Visiting DaDon's Rare LaserDiscs ! Reviews, Articles, Newsletter and Information for Movies on LaserDisc LD Laser Disc, LazerDisc.